Hublot has just unveiled a limited edition Classic Fusion in Royal Purple for Malmaison, the ultra-luxe retail store run by The Hour Glass in Singapore. The strap is rubber with an alligator front and purple stitching. 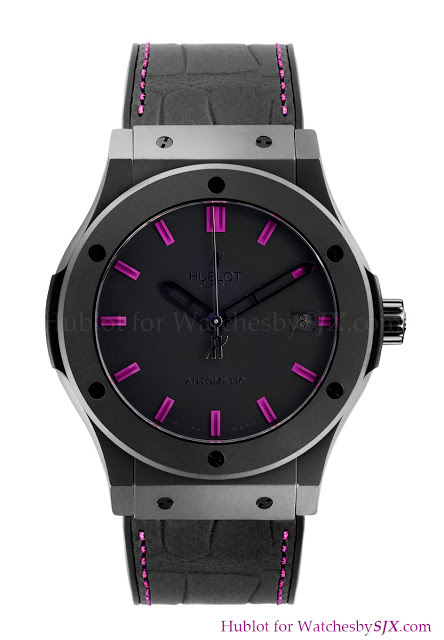 100 will be made and sold at The Hour Glass stores and the Hublot boutique in Singapore.